Today, a hijacked Web page--modern digital crooks' attack of choice--will launch a bevy of probes against your PC in search of just one unpatched vulnerability that&#160;a probe&#160;can exploit. If it finds one, better hope your antivirus program catches the ensuing attack. Otherwise you likely won't even notice anything amiss as it infects your system. 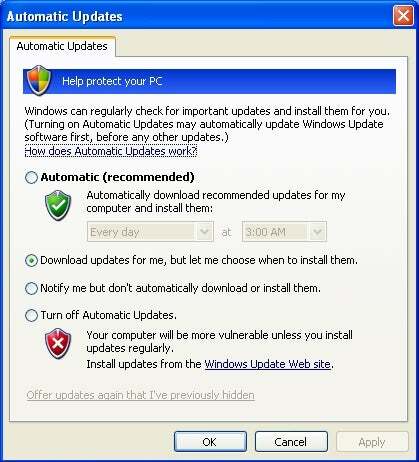 Enabling automatic updates for Windows and any other programs that offer them will make your PC safer. Luckily, you can completely block the majority of Web-based exploits by keeping all your programs--not just the&#160;operating system&#160;or your browsers--up-to-date. Attack sites ferret out holes in seemingly innocuous applications such as QuickTime and WinZip as well as in Windows and Internet Explorer. So turn on automatic update features for any software that offers the service--it's your quickest and easiest option for getting patches. If every program used easy automatic updates--and we were all smart enough to use them--the thriving malware business would take a serious hit. Until then, a free and easy security app from Secunia can help save the day. 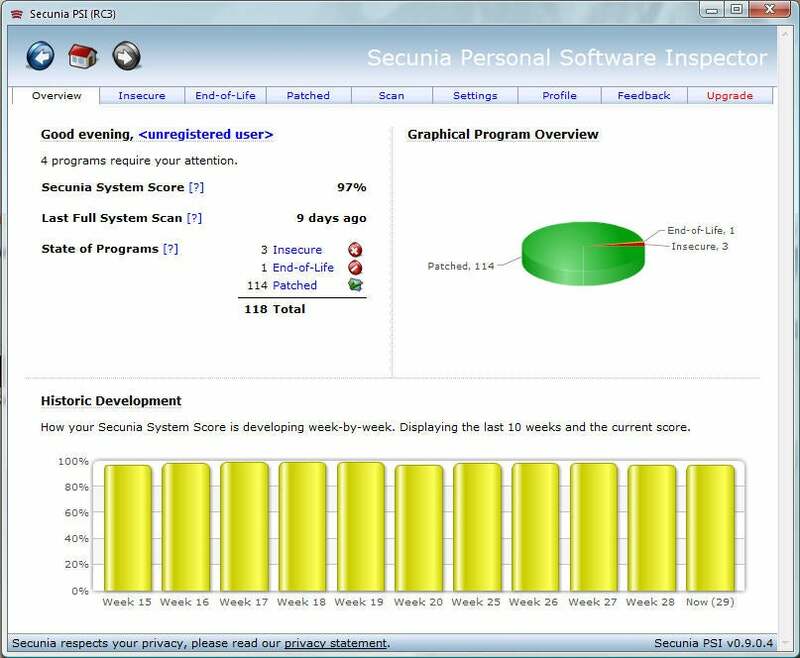 Secunia Personal Software Inspector scans your system for software that's out-of-date and helps you patch it. The Secunia Personal Software Inspector, available as a free download, scans your installed software to let you know which out-of-date programs might be making your PC unsafe. But it doesn't stop there--for each old program it finds, it offers quick and easy action buttons&#160;such as&#160;one labeled Download Solution, which&#160;retrieves the latest software patch without you even having to open a browser. Secunia PSI isn't perfect, and doesn't always make it easy to update unsafe program components. But for most apps it provides a quick--and very important--fix. The most insidious hijacked Web pages are nearly impossible to spot. Tiny snippets of inserted code that don't display on the page can nevertheless&#160;launch devastating behind-the-scenes attacks. Trying to avoid such pages on your own is asking for trouble, especially since crooks like to hack popular sites--attacks against sites&#160;for Sony games&#160;and the Miami Dolphins are just two well-known examples. But new site-blocking features in the just-released Firefox 3 and Opera 9.5 browsers provide some shielding. Firefox 3 displays a warning like this (shown for a test version) if you attempt to access a site that's known to harbor malware. Both browsers expand on the previous version's antiphishing features to block known malware sites as well, whether they're hijacked pages on legitimate sites or sites that were specifically created by bad guys. Neither browser completely eliminates the risk of landing on such pages, but every additional layer of protection helps. Microsoft plans to add a similar feature to Internet Explorer 8, but this version won't be ready for prime time for a good while. For more on the browsers'&#160;improved security, see "New Browsers Fight the Malware Scourge."